Observation - Lords and Ladies - UK and Ireland. Description: Most plants had plain leaves, but also an occasional spotted plant seen. 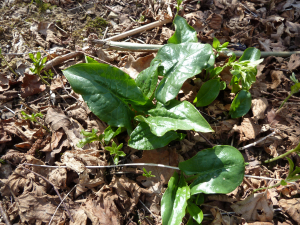 Most plants had plain leaves, but also an occasional spotted plant seen.